Hello Blogville! How we have missed you! We are back! Lady is going to share her adventures while we were in jail in a Traveling Tuesday series. We survived jail. We refuse to call it camp. To make sure we ruled the yard, I, Hailey Bug, picked fights through the fence with any dog I could. I wasn't allowed to play with anyone but Phod. Sometimes I got Phod going too, but I was the worst. Lady is completely embarrassed and thankful the Man is the one who picked us up on Tuesday. I have stayed at this kennel before and never thought to be the Queen. Lady wonders if I learned this bad behaviour from watching Orange is the New Black and Wentworth with her. Other than that, and Phod's ears being a complete mess, jail was fine. We have been giving our Lady the cold shoulder (even though it was Man who took us and picked us up). As many of my blog friends have moved from blogging to this thing called Facebook, I have a Facebook page (I am sharing it with Lady as of course I know dogs can't have pages as Facebook page, but Lady is only connecting with blog/animal people, she isn't even connecting with the Man or other friends). I am Hailey Merriland. If you can't find me and want to be my friend, let me know. We can't wait to catch up with everyone! Make sure you stop by on Monday to celebrate me! It is my 7th Gotcha Day! Ok, not really but Lady is feeling a bit overwhelmed with the work and getting ready for mini-BAR etc. etc. so we are going to take a short blogging break. We are going to try and keep visiting you all as best we can. We will be back in a couple weeks! We will be ready to party when we return. Early September will march 7 years of having Hailey and blogging! With a few brown highlights! Outside the two are never far apart! In the 1930s my great-grandparents had a shack moved from a family property to the shores of Lake Huron (Point Clark, Ontario). 12 years ago my parents covered the cottage and the additions into their permanent home. I am the 5th generation of my family who has visited the lake. Our family always spent the first week after school there. We lived about 20 minutes away. We also visited over the summer and spent time with my grandparents and the extended family there. It is where most of my family memories come from. My earliest memory is from there. I remember my great-grandmother putting me in her room for a nap. I couldn't have been older than 4, likely closer to 3. 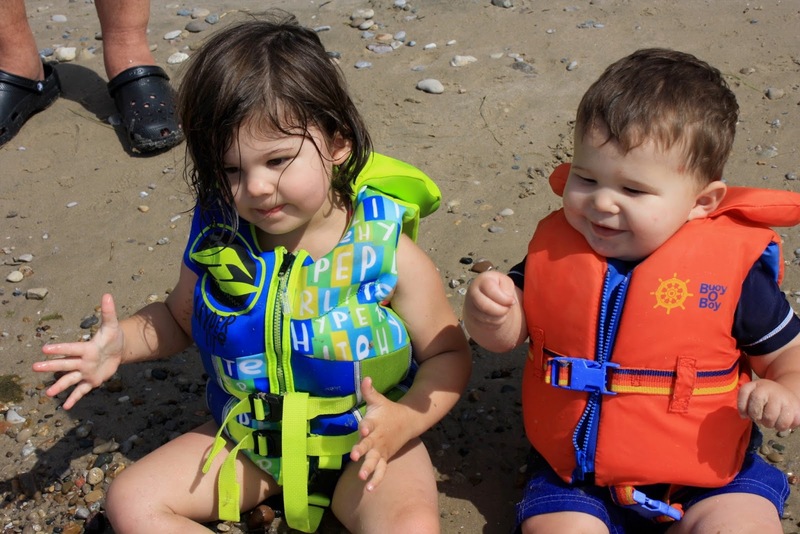 I was lucky to get to share the lake with the 6th generation - my niece and nephew. 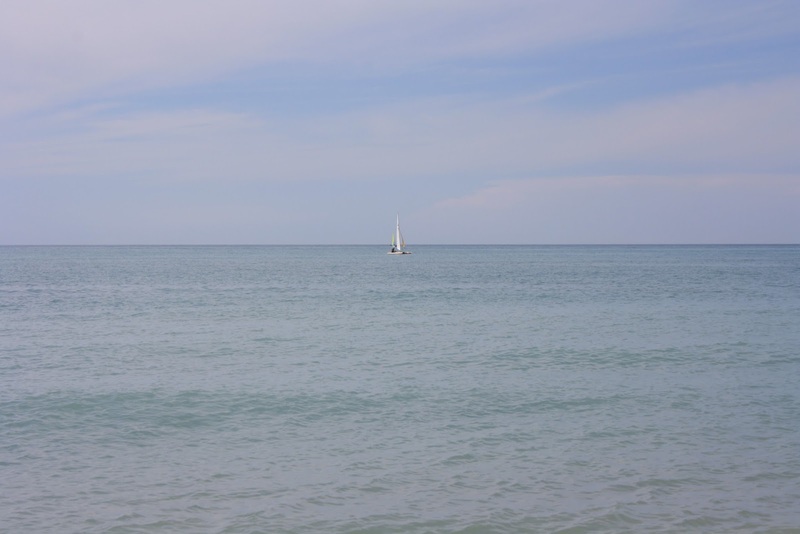 There is beauty in memories, the beach, the lake and family. 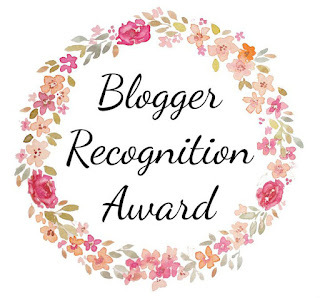 We are a little late in formally accepting the Blogger Recognition Award that Pets Overload honoured us with recently. We greatly appreciate being thought of for an award! We are going to follow most of the rules in accepting our award. We will share how we got started blogging and share 2 pieces of advice to new bloggers. Rewind almost 7 years ago and you have a crazy Lady trying to navigate her way through a challenging dog (aka Hailey). 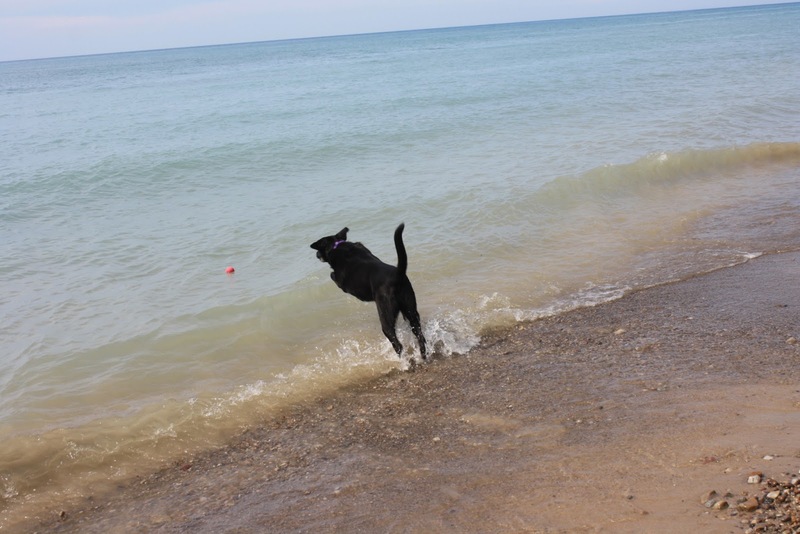 I wanted a place to show the people who had rescued her that she was ok and to share the journey of having a challenging pup. I created this blog, never thinking more than a handful of people would read it. 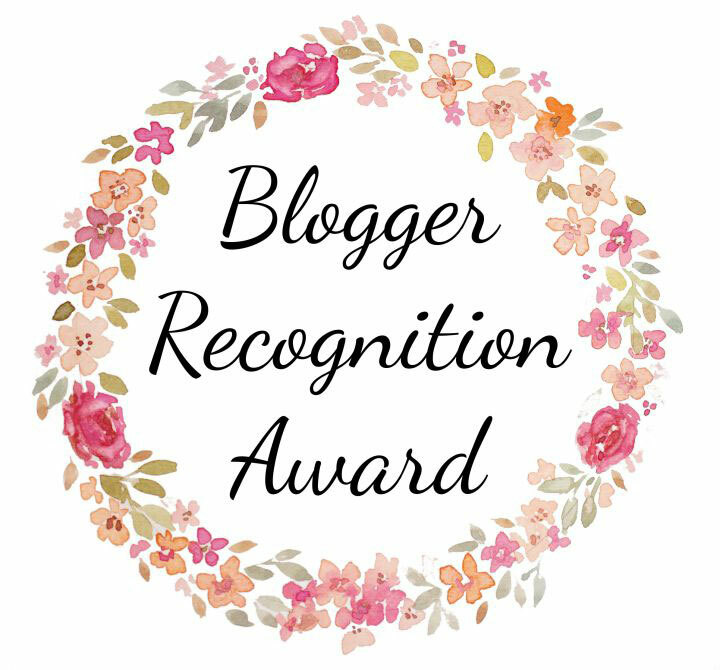 Now, I am part of an awesome community of bloggers. Be yourself and tell your story. It is easy to be 'fake' and hid behind your computer, but people sense that. Have fun! My favourite posts from others are often ones where I can tell how much fun they had in the moment or creating the post. Thanks again to Pets Overload. If you don't know them, be sure to pop over and say hi! Besides our normal deer, groundhog (including the biggest one I have ever seen and we call Buffet) and bird encounters, we have had some animal adventures. None of which are photographed because walking with 3 dogs with wildlife makes it unsafe to photograph. Here are some recent encounters. -A coyote was dead in the middle of the road and Hailey had to bark at it the first day. It was there for about 4 days. Now Hailey wants to pee on the road where it. -About 8 feet from us a skunk came out of the ditch. It was lifting it's tail but was not pointing at us. I froze. It looked at us, put the tail down and ran away. We stood (well I stood, Emma stood and Phod stood while Hailey jumped and screamed) in that spot until it was far away. -We encountered a wild turkey and her brood of babies on a road. I just turned us around and we went the other way. -We caught a mouse in our humane trap in our house. The Man took the poor little thing for a drive to release it. Do you have any wildlife encounters on your walks? Emma has not been happy to be here this time for a visit. She has been engaging in some very undesirable behaviours. First, she has taken to peeing on the floor, especially in the night. Uncle Chris says she likes to go out in the night (this is how she got sprayed by a skunk in the spring). She doesn't ask to go, she gets up, goes to the kitchen and pees on the floor. She asks to get back on the bed, so you know she had an accident. To try and stop this we are trying to take her out as late as possible and closing all the dogs in our bedroom while we sleep. Hailey doesn't like this as she wants to hide downstairs. Secondly, and more annoyingly, she has peed on the bed twice. Once during a nap with the Man and once at night with the Man. Note, both these times the Lady wasn't in the room. To help prevent this, she is having to sleep on a pillow on the floor. She doesn't like this. Man did try crating her while I was away last week, but no one slept. August 18th won't be here soon enough! 1. He is a jokester - He likes to do things like jump into bed into your spot and smile and laugh as you try and move him. 2. He always counts his balls aka Precious' when he is putting one away to make sure they are all there. 3. He is very gentle and friendly. 4. Playing fetch (with Precious or in the house or in the lake) makes him so happy you can't help but smile. 5. He loves a good cuddle and generally leaves a lot of fur on you! Happy Gotcha Day Phod! We are so lucky to have you as part of our family. Sorry we have been MIA. Life has been crazy busy for the Lady. She consulted out of town for 3 days, was home for 2, then off to visit her parents for 6 days. Man did a pretty good job at taking care of us while Lady was away. We hope to be back to a more normal blogging schedule for the next couple weeks, although it is going to be very busy as Lady tries to get all her work done before heading to mini-BAR without us. FYI: Phod's test results weren't back last week when the Lady called. Our vet is away until Tuesday, so Lady will call again this week and see if anything was found. He is not enjoying having to eat less food! Hope our Northern Hemisphere pals are enjoying summer and winter isn't too bad for our Southern Hemisphere pals.